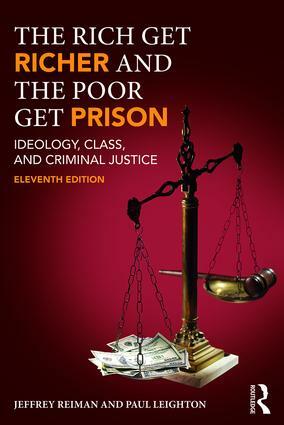 For nearly 40 years, this classic text has taken the issue of economic inequality seriously and asked: Why are our prisons filled with the poor? Why aren’t the tools of the criminal justice system being used to protect Americans from predatory business practices and to punish well-off people who cause widespread harm? The Rich Get Richer shows readers that much that goes on in the criminal justice system violates citizens’ sense of basic fairness. It presents extensive evidence from mainstream data that the criminal justice system does not function in the way it says it does nor in the way that readers believe it should. The authors develop a theoretical perspective from which readers might understand these failures and evaluate them morally—and they to do it in a short and relatively inexpensive text written in plain language. To the Vanquished Belong the Spoils: Who Is Winning the Losing War Against Crime?